Having an older dog means there are times when they start to forget the simple things they have been taught. We have found that with our beloved pooch, Bandit he is having some trouble remembering simple tricks he was taught as a puppy such as giving high fives! When we were at PetSmart, I picked up Purina ProPlan Bright Mind dog food in hopes to help him regain some of that change he went through. 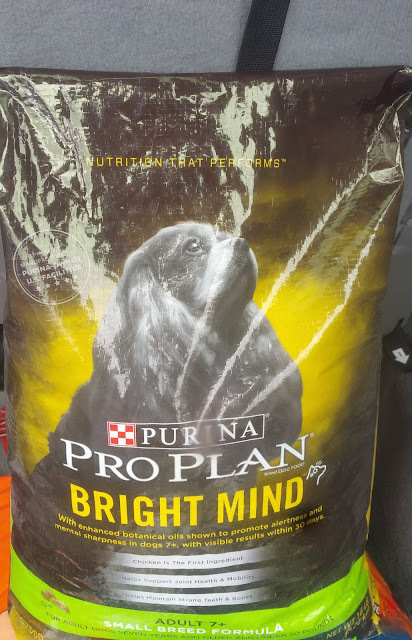 Purina ProPlan discovered a way to promote alertness and mental sharpness in dogs 7+ through nutrition and has introduced BRIGHT MIND Adult 7+ formulas. Within 30 days of using the Purina ProPlan Bright Mind dog food we saw visible results in Bandit. He became a spunky dog again! High fiving all day long and fetching his ball. 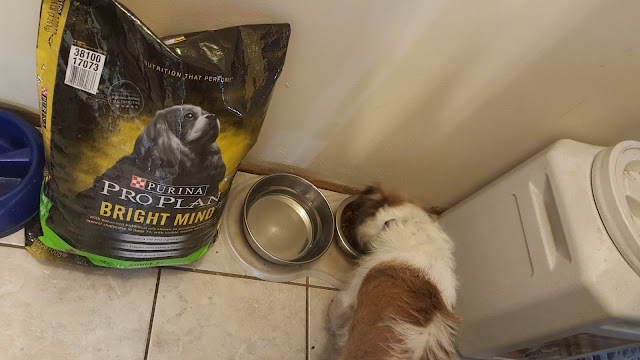 When adding Purina ProPlan Bright Mind which contains enhanced botanical oils to help promote alertness and mental sharpness in dogs aged 7+, we saw a difference in our beloved Bandit! We are so happy that we have found a food that has brought our dogs alertness back, after all he is considered a senior dog now that he is 8 years old. Now if you Spend $10 on any Purina Pro Plan Dry Dog or Cat Food* at PetSmart between 8/31 and 10/4, you can save $10 on your next Purina Pro Plan Dry Food purchase, 14-lb. or more, on or before 11/1. *Subject to availability. Transaction total is after discounts and before taxes.